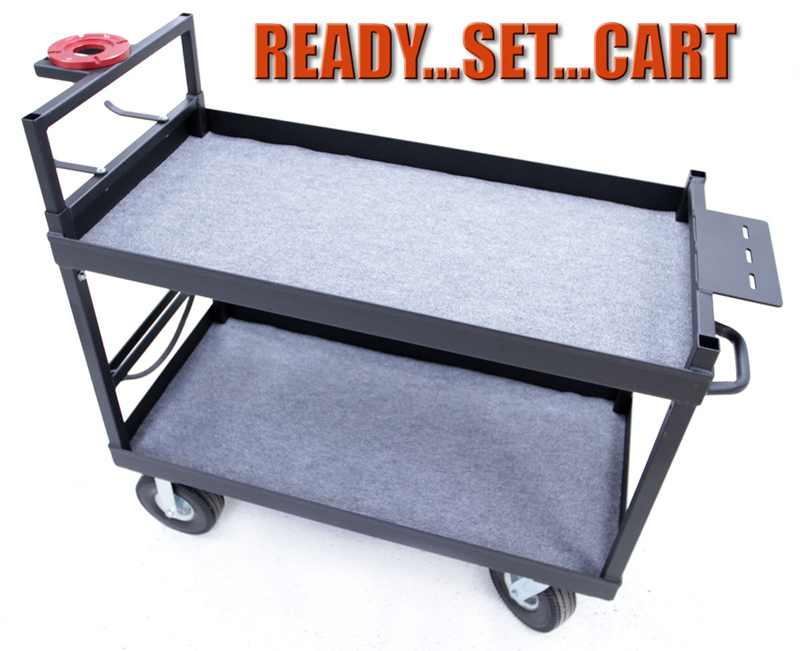 Designed and manufactured by a local feature camera assistant, this is the ultimate camera cart. Indestructable, welded steel with adjustable height camera platform, tripod hooks, Hi-hat slot and mounting plate for QRB plate. 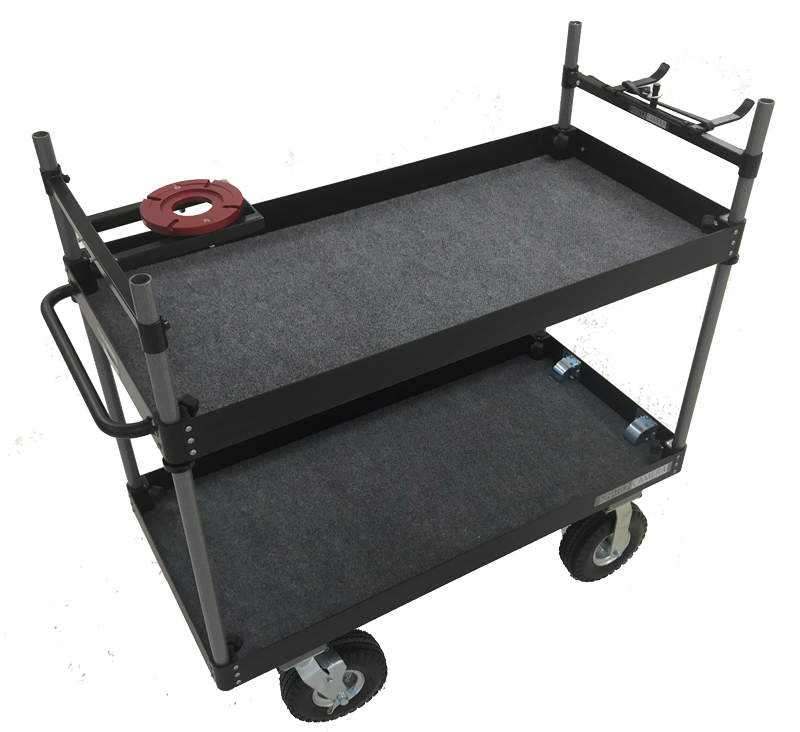 The Backstage TR-04 is a fully collapsible cart. It is held together by four round posts which attach to a bottom and top shelf by using telescopic locks operated with molded plastic knob. All accessories are attached in the same manner. Top Shelf is adjustable and can be set at any height.